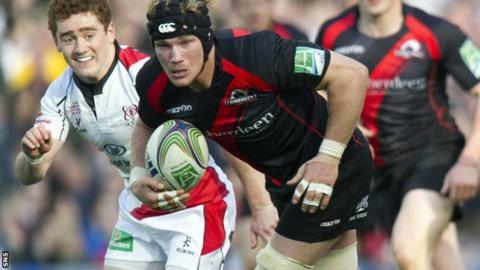 Scotland's Ross Rennie has his sights set on promotion to the Aviva Premiership following his move to Bristol. The 28-year-old has been on loan at the Memorial Ground club from Edinburgh, and has secured a two-year contract with the Championship leaders. "I've enjoyed my time on loan and it's exciting to stay and push on for a place in the Premiership," said Rennie. The back-row made 91 appearance for Edinburgh in nine seasons at the club. "Edinburgh is my home town and I love the club, but the time is right to pursue a new challenge in Bristol," he added. "I'd like to thank everybody at Edinburgh Rugby, I've had an incredible time playing there and will hold many fond memories."